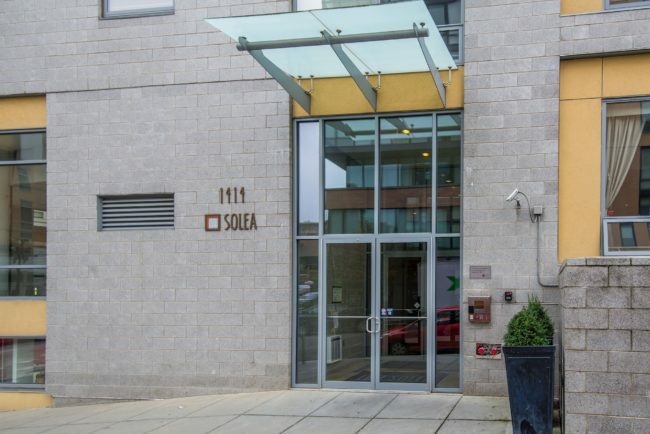 On the third floor of the stylish Solea Building on the corner of Florida Ave and 14th Street is where you’ll find this fabulous 1-bedroom condo. 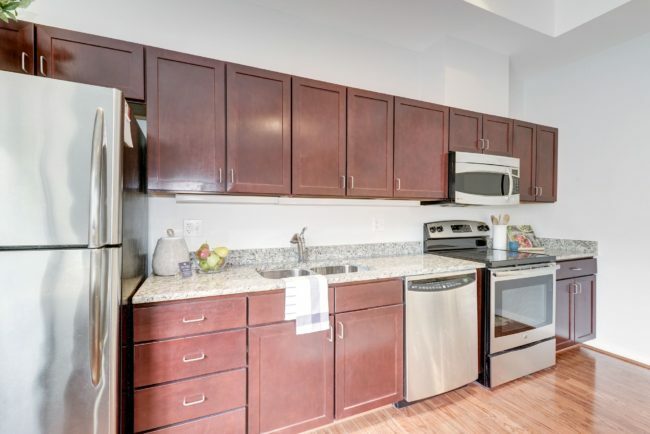 Beautiful hardwood floors, tall ceilings, huge windows, tons of kitchen storage, and a massive walk-in closet are just some of the perks of this home. You’ll fall in love instantly! 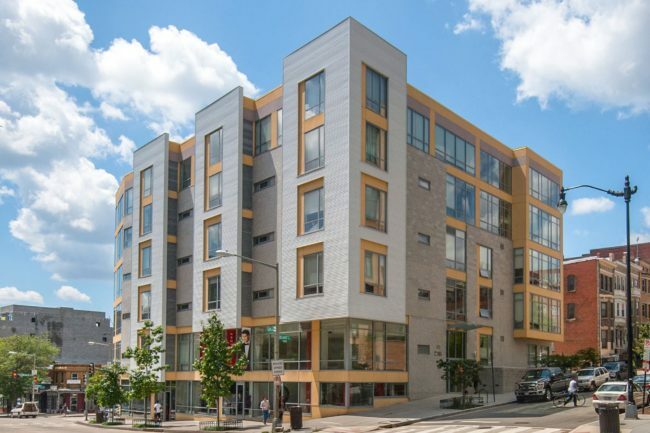 Built in 2009, this 62-unit building is big enough for amenities like a an elevator (no climbing all those steps here! ), a courtyard for lounging and entertaining, and rental underground parking. 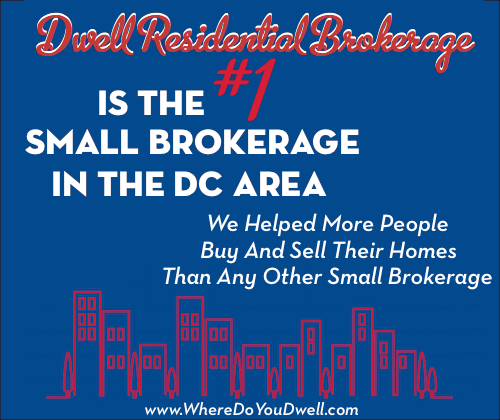 Need a separately deeded parking space of your very own? No problem! There’s an option to buy a parking spot! But who really needs a car in this location? 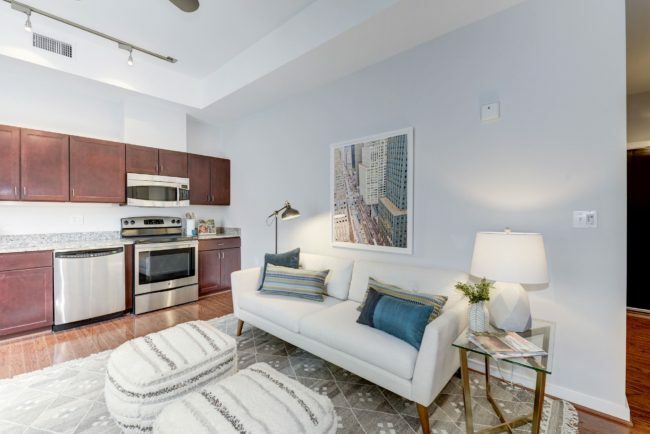 Even with all these great amenities, the condo fees are low and this well-managed building allows pets and rentals too! 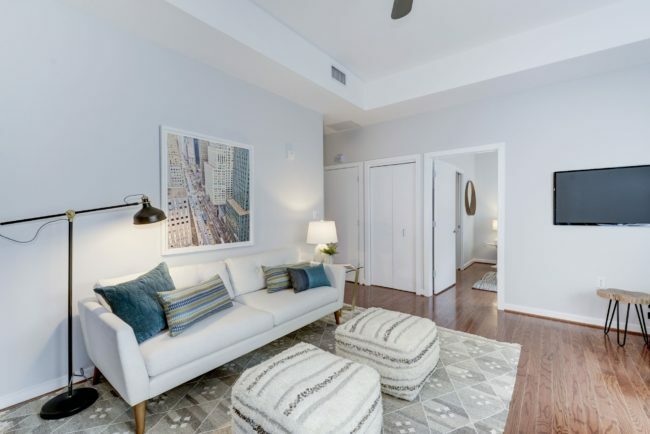 Walking through the front door you’ll notice the gorgeous hardwood floors that run through most of the home. 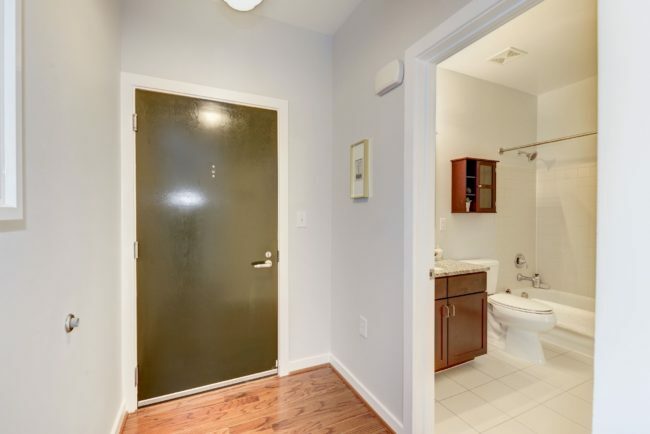 Plus with bathroom access available through the bedroom AND the main living area, your guests won’t have to cut through your bedroom to use the restroom! Open living is what this home’s all about! 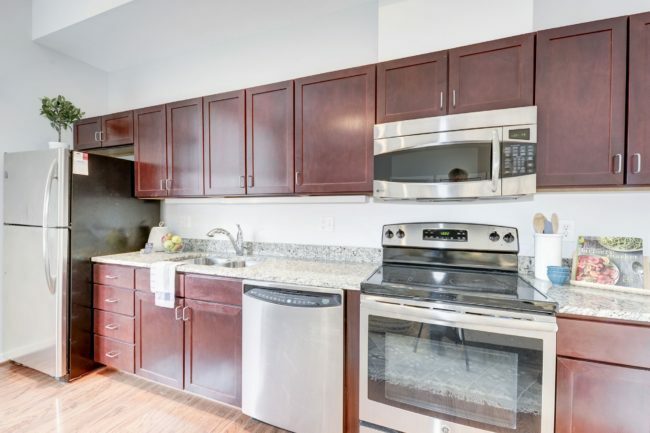 Check out the maple cabinets, granite counters and stainless steel appliances of your chef’s kitchen. 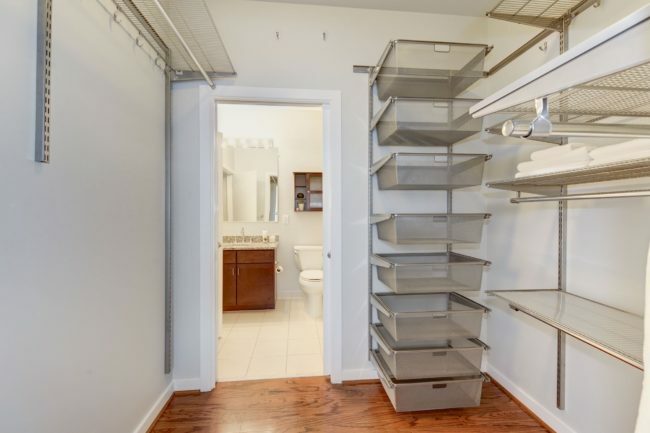 There’s tons of storage space for all your favorite cooking gadgets, so you’ll be able to impress your friends with dinner parties and Sunday brunches all the time! 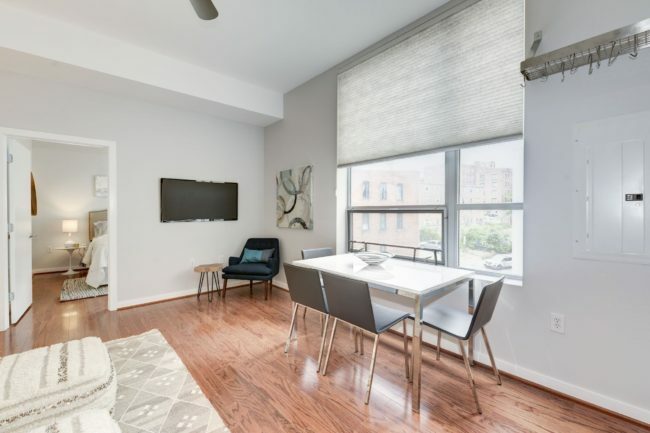 Oversized windows bring tons of light into the home, and there’s plenty of room for a living room AND dining room set – perfect for entertaining! The bedroom is private and yet spacious with enough room to fit a queen sized bed and plenty of furniture. 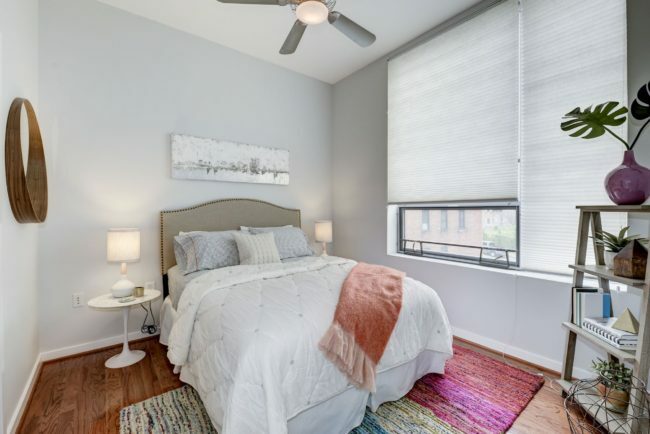 There’s even a ceiling fan for those hot DC summer nights! 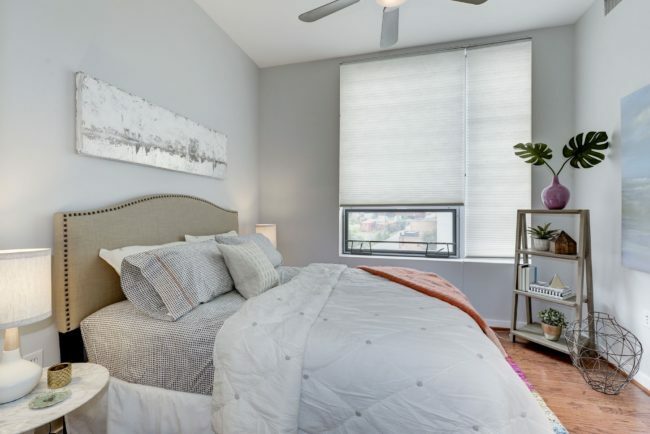 You can see great sunsets as you lay in bed in the evenings—the seller loved this feature and even bought these special blinds that come down from the top or bottom for this very reason! Shoe addict? No problem! 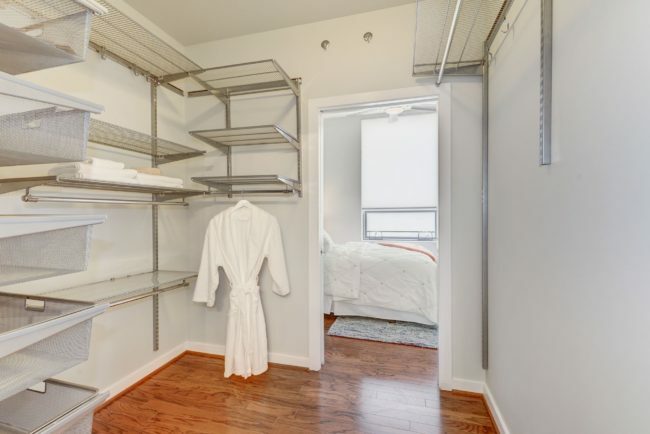 Your GINORMOUS walk-in closet has more than enough room! The best part – it’s customizable! Rearrange your closet to suit your needs! 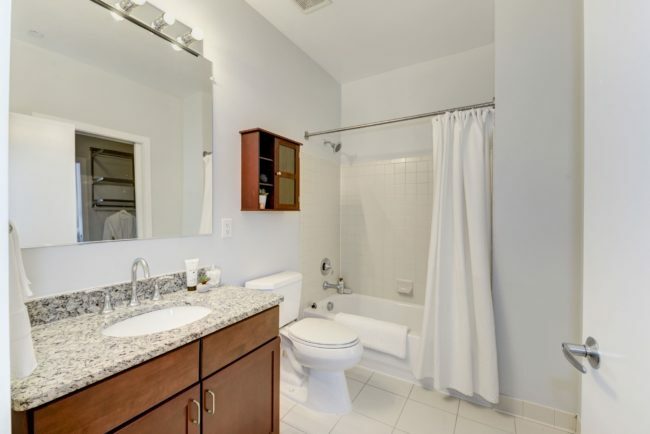 The maple cabinets from the kitchen are carried through to the bathroom, and blend in nicely with crisp silver accents. 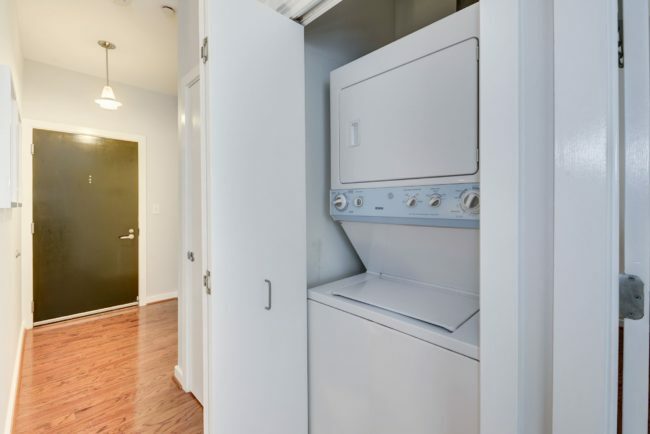 The days of lugging your clothes to the laundromat are over with your washer/dryer combo! 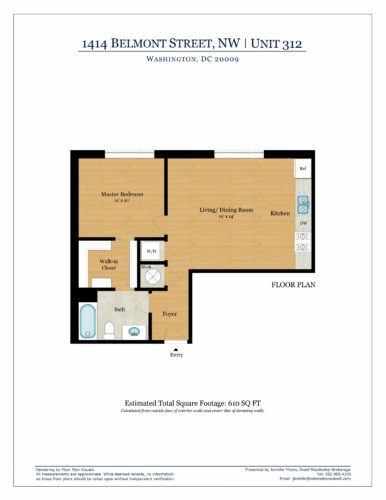 Click on the photo above for a PDF of the floorplan! 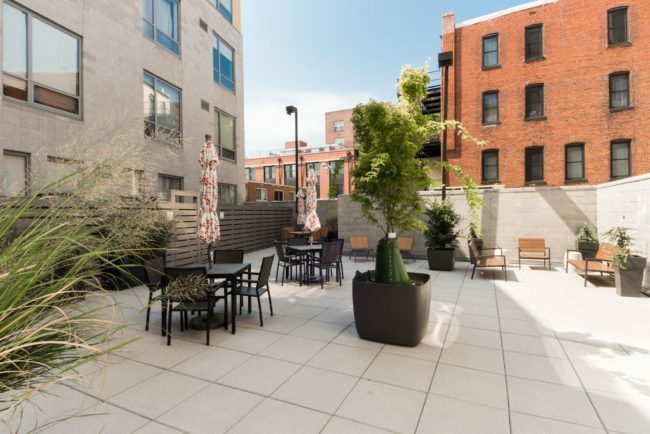 You’ll completely forget you’re in the middle of DC with the relaxing patio open to building residents. It’s an oasis in the middle of the city! 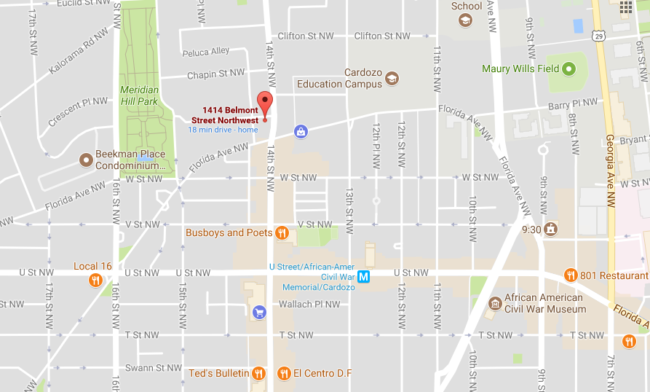 Just a few blocks from both Columbia Heights AND U Street, you’ve got everything you need from grocery stores like Trader Joe’s Yes! 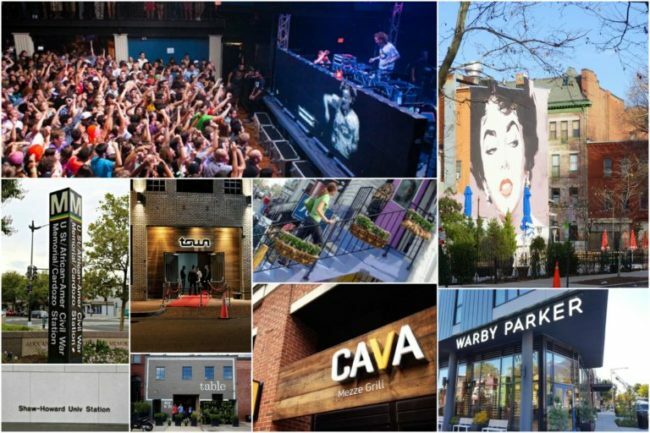 Organic Market, Target and Harris Teeter, to literally dozens of restaurants, bars, concert venues and shopping. It’s also only a block from amazing Meridian Hill Park…Sunday drum circle anyone!